20 December 2012: “The time has come for mayors from America’s towns and cities to make a stand against the nation's gun lobby and tell their members that the lives of children and their teachers must not be put in danger by allowing owners of assault weapons to pursue their hobbies,” so wrote a mayor to City Mayors. Separately, hundreds of US mayors have written to President Barack Obama urging him to use all his powers and the moral authority of his office to reign in the spread and use of guns. 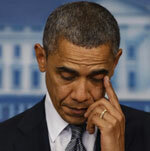 "Again and again and again, Americans are stunned by senseless acts of violence involving guns. Friday’s tragedy targeting young children in Newtown is incomprehensible. Too many times this year, mayors have expressed shock at a mass shooting. Even more frequently, many of us must cope with the gun violence that occurs on the streets of our cities,” mayors like Michael Bloomberg (NYC), Antonio Villaraigosa (Los Angeles) and Rahm Emanuel (Chicago) wrote. • Enacting legislation to ban assault weapons and other high-capacity magazines. • Strengthen the national background check system and eliminate loopholes in it. • Strengthen the penalties for straw purchases [purchases made through a third party] of guns. On Friday, December 14th the entire nation watched as parents stood outside the Sandy Hook Elementary School and waited, desperately hoping to be reunited with their children. That moment will never end for the families of the 20 children and six adults who were murdered that day at the school. As mayors, we are charged with keeping our communities safe. But too many of us have sat with mothers and fathers of children killed with guns. Twenty-four children enrolled in public schools in your hometown of Chicago were shot to death just last year. Our bipartisan coalition of more than 750 mayors has joined forces with over 700,000 Americans and more than 100 survivors of deadly shootings, including the mass shootings you mentioned in your remarks. Together, we urge you to put forward an agenda that is rooted in common sense and that will make it harder for dangerous people to possess guns, and easier for police and prosecutors to crack down on them. • Require every gun buyer to pass a criminal background check: Background checks are the only systematic way to stop felons, domestic abusers and other dangerous people from buying firearms. These checks are instantaneous and highly effective. Since its inception, the National Instant Criminal Background Check System (NICS) has blocked firearms purchases at licensed dealerships by millions of individuals who are barred by federal law from owning them. But criminals and other prohibited purchasers avoid these checks by buying firearms, including online and at gun shows, from unlicensed “private sellers” who are not required by federal law to conduct the checks. Millions of gun sales  estimated at more than 40 percent of the U.S. annual total  are conducted through private sellers. The Fix Gun Checks Act (H.R.1781 / S.436) would close this enormous gap in our laws by requiring a criminal background check for every gun sale. • Get high capacity rifles and ammunition magazines off our streets: Military-style weapons and high capacity ammunition magazines have no appropriate civilian or sporting function. They are designed to kill large numbers of people quickly. They are also disproportionately used to kill law enforcement officers; approximately one out of five law enforcement officers slain in the line of duty is killed with assault weapons. The time has come to review the federal assault weapons ban that expired in 2004 and draft a new law that is clear and enforceable and will take these weapons out of our communities. • Make gun trafficking a federal crime: Today, there is no clear and effective statute making gun trafficking a crime. Prosecutors are instead forced to rely on a weak law prohibiting engaging in the business of selling guns without a federal license, which carries the same punishment as trafficking chicken or livestock. As a result, according to the Justice Department’s Inspector General, U.S. Attorneys decline to prosecute 25 percent of those cases while declining only 9 percent of drug conspiracy cases. 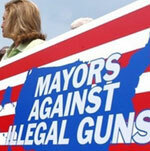 Mayors Against Illegal Guns supports proposals to empower law enforcement to investigate and prosecute straw purchasers, gun traffickers, and their entire criminal networks. • Appoint an ATF director: The Bureau of Alcohol, Tobacco, Firearms & Explosives (ATF), the federal agency responsible for enforcing our gun laws, has gone without a confirmed director for more than six years. During that time, criminals and those with serious mental illness have been able to take advantage of insufficient enforcement of existing federal gun laws, and an estimated 72,000 Americans have been murdered with guns. In 2011, for the first time in over a decade, more police officers were shot to death in the line of duty than were killed in automobile accidents. The need for leadership at the ATF has never been more urgent. The time has come for you to make a recess appointment to fill the vacancy at the top of the ATF. Prosecute prohibited purchasers who attempt to buy firearms, ammunition or high-capacity magazines: The Justice Department should vigorously prosecute felons and other prohibited purchasers who fail gun background checks. In 2009, the Federal Bureau of Investigation referred more than 71,000 such cases to ATF, but U.S. Attorneys ultimately prosecuted only 77 of them. Prosecuting these offenders is a goal broadly supported by our coalition and the National Rifle Association. The Department should also develop a mechanism for sharing NICS denial information with local and state law enforcement officials by sending them active alerts; or, at a minimum, posting the information at the National Criminal Information Center so state and local law enforcement officials can access it during investigations. • Require federal agencies to report records to NICS: The NICS Improvement Act of 2007 requires federal agencies to submit mental health, substance abuse and other records that prohibit a person from owning a gun to NICS. However, few agencies comply. In October 2011, the FBI provided data to MAIG on reporting by 60 federal agencies. Of those 60 agencies, 52 had given zero mental health records to NICS. Although total federal agency reporting of mental health records increased by ten percent between March and October 2011, to 143,579, the vast majority of those records had been submitted by one agency, the Department of Veterans Affairs. Even fewer federal agencies are reporting drug abusers. Only three agencies  the FBI, the U.S. Coast Guard, and the Court Services and Offenders Supervision Agency (CSOSA), the probation and parole services agency for the District of Columbia  have submitted any substance abuse records, and the vast majority of federal agencies, including the Drug Enforcement Administration, have not submitted a single substance abuse record. The president should issue an executive order requiring all federal agency heads to certify twice annually, in writing, to the U.S. Attorney General that their agency has submitted all relevant records to NICS. • Repeal remaining Tiahrt restrictions: While Mayors Against Illegal Guns and our law enforcement allies have made progress in relaxing the “Tiahrt restrictions,” which are riders to the federal budget that restrict access to federal gun data, some still remain. These remaining restrictions keep the public, particularly researchers and elected officials, in the dark about gun traffickers  specifically, who they are and how they operate. It also requires the FBI to destroy records of approved NICS background checks within 24 hours. That makes it harder to detect law-breaking dealers who fake their records, or to identify straw buyers who undergo the checks on behalf of someone who couldn’t pass. The Tiahrt Amendments also say ATF can’t require dealers to inspect their inventory, which could reduce the tens of thousands of guns that go missing or are stolen each year. Finally, the police and other law enforcement agencies that get trace data can’t use it in license revocation proceedings or in civil litigation. The administration should repeal these restrictions in its next budget. 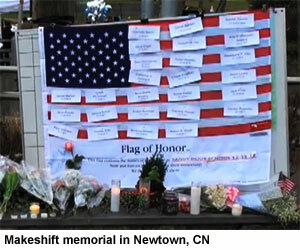 In the past few days, the American people came together in a national outpouring of grief and sympathy for the families of victims slain in the mass shooting in Newtown. We share in that grief. But our constituents are also outraged and looking for leadership from the White House. We look forward to working with you to find a solution to gun violence in our country. President Obama’s trip to Colombia in April 2012 threw a spotlight on America’s drug policy. The presidents of Colombia, Mexico, and Guatemala - countries that have seen limited returns for their inordinate sacrifices of human lives and financial resources to control the supply of illegal drugs - publicly chastised the United States for failing to curb its demand for drugs. The international focus on American drug policy has resurrected a debate within the US about the legalization of drugs, especially marijuana and how it may affect urban areas. The Obama administration has shifted US drug policy over the past three years away from its decades-old focus on jailing offenders to treatment and prevention. The new public health emphasis includes overturning the 20-year-old ban on the use of federal funds for needle-exchange programs, increasing funding for drug treatment with incentives to involve mainstream medical facilities as well as specialty clinics, implementing new evidence-based prevention programs, creating databases to identify doctors who overprescribe addictive painkillers, and attempting to convince Congress to eliminate sentencing disparities that penalize users of crack cocaine more than users of the powered form.